Brian Bell Performance Horses has relocated to Cardinal Reining Horses (formerly Green Valley Ranch), Aubrey, TX. The decision to move was not an easy one; however Cardinal’s, management, facility and location are nearly unparalleled. The facility is built on 400 acres, featuring a 60,000 sq ft arena, first class show barn, complete veterinary clinic, state of the art breeding facility, and three mare motels. All conveniently located in the heart of “Horse Country USA” just 40 minutes from DFW airport, and 2 ½ hrs from Oklahoma City. Brian is now accepting outside horses; contact him for help with your next Futurity or Derby prospect. If you are looking to buy or sell a horse, Brain can help with that too – his experience and extensive contacts in the reining horse industry can help you accomplish your goals. You can reach Brian at 580-276-0132 or learn more about his success and programs at www.brianbellreininghorses.com. 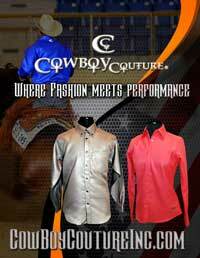 The physical location of the ranch is Cardinal Reining Center, 4100 Reining Rd, Aubrey, TX 76227.